Emerson College announces the creation and launch of a first-of-its-kind digital museum devoted to the banjo – an instrument that uniquely reflects America’s complicated and contested social history. The Banjo Project, set to launch in June 2019, was created by Associate Professor Marc Fields, and produced by Fields and Assistant Professor Shaun Clarke. Fields is a Visual & Media Arts Professor and Emmy-Award winning writer/director/producer of cultural programming for PBS, most recently the music documentary Give Me the Banjo (narrated by Steve Martin). The digital museum, built on a searchable archive of over 300 hours of original media, archival footage, stills and recordings, will serve as a public, online cultural resource devoted to the instrument’s colorful and complicated history. The digital museum, in beta form at banjo.emerson.edu, is supported by a $100,000 National Endowment for the Humanities grant, which is the largest NEH grant received in the college’s history. The award is part of $14.8 million in grants announced on December 12 by NEH for 253 humanities projects nationwide. “The banjo has symbolized patriotism and protest, pain and pleasure, low entertainment and sophisticated leisure. It’s been a black instrument, a white instrument, a laborer’s pastime and a socialite’s diversion, a young person’s fad and an old-timer’s friend. But mostly it’s been a snubbed instrument,” said Fields, who aims to showcase the banjo’s rich and diverse music and players in their historical context. Brought to the Americas by enslaved Africans, the banjo is the product of three centuries of cultural exchanges, appropriations and interactions. It has helped to shape many American and transnational musical forms including the minstrel show (the dominant popular entertainment in the US in the 19th century), ragtime and early jazz, Tin Pan Alley, old-time folk and the folk revival, as well as blues, bluegrass, country, and world music. The instrument’s complex history also resonates with current social issues and struggles in our society. “The Banjo Project highlights many of the issues at the heart of American society today, including lingering conflicts around race, class, gender, regionalism and the collisions between folk and pop music,” Fields said. 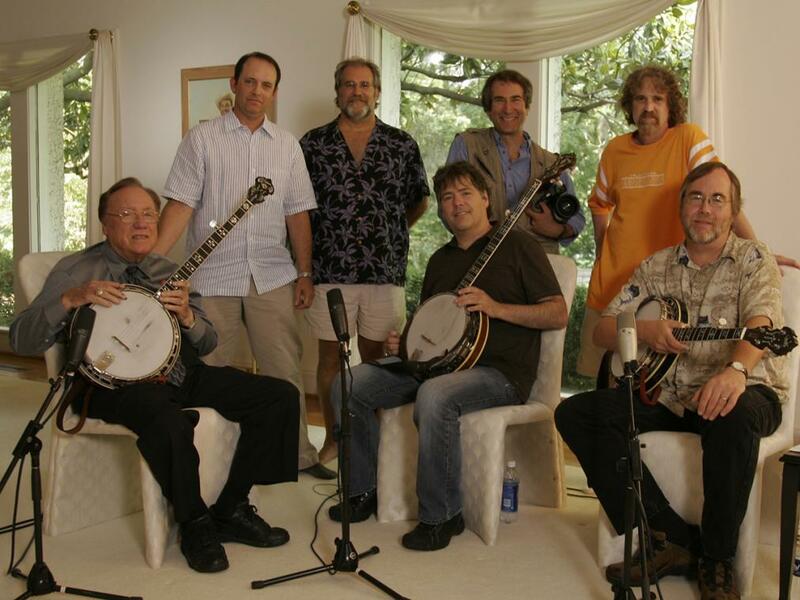 The Banjo Project combines interactive documentary, up-to-date research, curated, professionally produced content and rare archival footage and recordings. It will also serve as the hub for a consortium of partner institutions, scholars and collectors, providing portals to showcase related content. The digital museum is the result of more than 15 years of work to create a public resource that provides users with the ability to discover the stories about America’s instrument that are particularly relevant today. “When the diverse styles and purveyors of banjo music are placed in their historical context, users become a community of storytellers building narratives around the banjo that overcome boundaries of race, culture, class, region and gender. Hearing the music is just the first step in an odyssey spanning three centuries of trans-Atlantic culture,” said Fields. According to the NEH, many of the grant awards announced on December 12 will help document, preserve, and ensure access to materials of critical importance to the nation’s cultural heritage. ABOUT THE BANJO PROJECT: Since 2002, The Banjo Project has produced and collected over 300 hours of original video, with interviews and performances by banjoists in all styles: Pete Seeger, Earl Scruggs, Bela Fleck, Rhiannon Giddens, Mike Seeger, Taj Mahal, Sonny Osborne, Cynthia Sayers, Don Vappie, Buddy Wachter and many others, as well as expert commentary from banjo builders, historians and researchers. Visit the beta site at banjo.emerson.edu. ABOUT EMERSON COLLEGE: Based in Boston, Massachusetts, opposite the historic Boston Common and in the heart of the city’s Theatre District, Emerson College educates individuals who will solve problems and change the world through engaged leadership in communication and the arts, a mission informed by liberal learning. The College has 3,780 undergraduates and 670 graduate students from across the United States and 50 countries. Supported by state-of-the-art facilities and a renowned faculty, students participate in more than 90 student organizations and performance groups. Emerson is known for its experiential learning programs in Los Angeles, Washington, DC, the Netherlands, London, China, and the Czech Republic as well as its new Global Portals, with the first launching in 2019 in Paris. The College has an active network of 39,000 alumni who hold leadership positions in communication and the arts. For more information, visit emerson.edu. ABOUT THE NATIONAL ENDOWMENT FOR THE HUMANITIES: Created in 1965 as an independent federal agency, the National Endowment for the Humanities supports research and learning in history, literature, philosophy, and other areas of the humanities by funding selected, peer-reviewed proposals from around the nation. Additional information about the National Endowment for the Humanities and its grant programs is available at: www.neh.gov.